The roots and the history of Alessandro Mendini sink in Milan, his hometown and training. This is where the 16 August 1931 is born. His professional life goes hand in hand with his intellectual activity that grows, together with his name, in the international scene. Architecture and design are the privileged but not exclusive terrains in which vision, technique and thought are expressed of a professional and artistic path that is still in progress. His ideas find space in the works as well as in his intense intellectual tension that sees him first at the helm of Casabella, then of the magazine Domus, where he arrives by the will of Giò Ponti, whose cultural influence remains present in much of his work. In the 1989 he founded, together with his brother Francesco, Studio Mendini, the operative base of his generous project activity. Among the main industrial collaborations of Mendini, there are numerous brands that have made design and creativity their distinctive feature: Alessi, Swatch and Samsung among others. But also Bisazza and Venini. Cartier and Hermès. Indelible signs in the architectural landscape of the Belpaese are the Trieste Swimming Center with its Olympic pool, the Gibellina clock tower, the Alessi factory and the Omegna forum museum. While in the world, the name of Mendini is linked to the Groningen Museum and to the headquarters of the Fiera and the new Milan Triennale in South Korea. Over time, the role of Mendini has gone beyond his professional activity and has given rise to an incessant research activity expressed in the form of criticism and continuous review of the already seen. 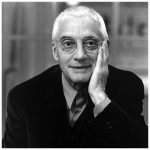 Over the years he has joined different groups of thought such as the Radical Design movement, which has made him the undisputed protagonist of the growth and evolution of Italian design. Aspects that have allowed the affirmation in the world. Among its main creations there are objects and furnishing accessories fully entered in the panorama of Made in Italy: the Proust armchair, realized at the end of the seventies and then numerous objects of daily use such as those made for Alessi. Never lost thread, the inseparable combination between his artistic vision and a constant planning analysis.